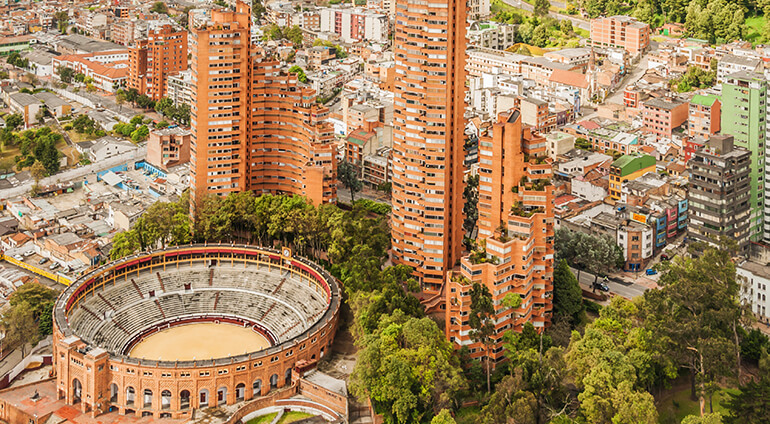 Bogotá, the capital of Colombia, is a sprawling metropolis packed with colonial landmarks, many museums, plenty of restaurants and a colourful nightlife. This is a city that will leave an impression on you, and a place to enjoy lots of different experiences. It’s the largest city in the country and a lot of people of different nationality congregate here. Bogotá sits high in the Andes Mountains, which means there are many outdoor activities to get involved in. The city is split into two distinct areas, the grittier poverty stricken south and the glitzy north, which is packed with high end hotels and shops. The main part of the city is the charming cobbled historic centre with its colonial style buildings, museums, restaurants and bars. Bogotá also has plenty of open spaces, green parks and nature reserves for those who want to unwind away from the buzz of the city. Bogotá manages to achieve a mix of both modern and traditional charms. If you are looking for an edgy, cultural city that’s full of surprises then book a trip to Bogotá today.